Jean-Yves Ollivier has the distinction of being bestowed honours by both the last stalwart of apartheid, P.W. Botha, and the first President of the new South Africa, Nelson Mandela. 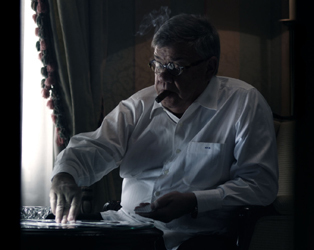 Plot for Peace is a documentary thriller that tells Ollivier’s remarkable story for the first time, revealing a character worthy of John LeCarré. Contributions from key political figures from the region and anti-apartheid fighters confirm his contribution to the end of apartheid should not be either underestimated or neglected. Plot for Peace previews at the IFI on March 13th (18.30) with a special Q&A from Jean-Yves Ollivier. The film opens EXCLUSIVELY at the IFI on March 14th. To celebrate the release of this much anticipated documentary, we have five pairs of tickets to give away to our preview screening on March 13th. To win a pair, just submit your name and email below.